Beautifully designed by the same architect who designed the famous restaurant Lemongrass, C-View Villas boasts spacious rooms with natural materials, the bathroom floors and the vanities are made of iron wood, the recycled old timber beams and posts add to the unique charm of this new boutique hotel located on the island of Nusa Lembongan. 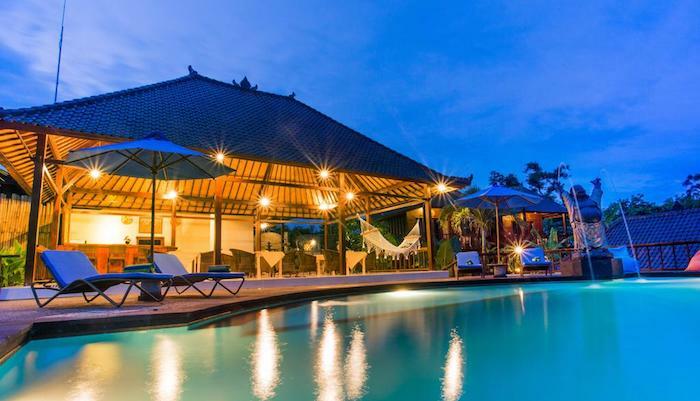 The whole resort can accommodate up to 12 guests: Villa Indah (4 Bedrooms) + 2 Individual Bungalows (Kembar 1&2). 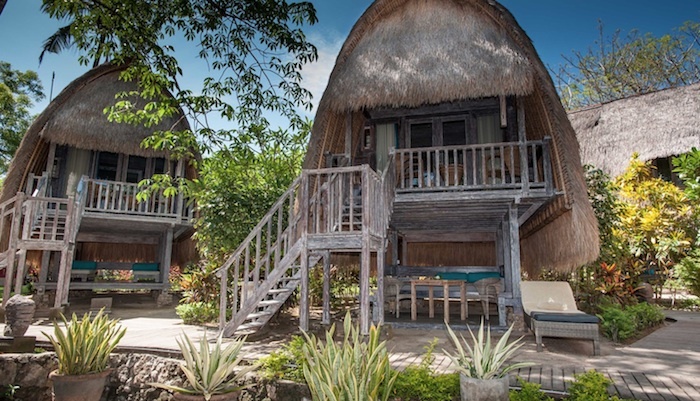 Settled in the village of Jungutbatu, this beautifully designed resort offers tranquillity, peace and quiet. 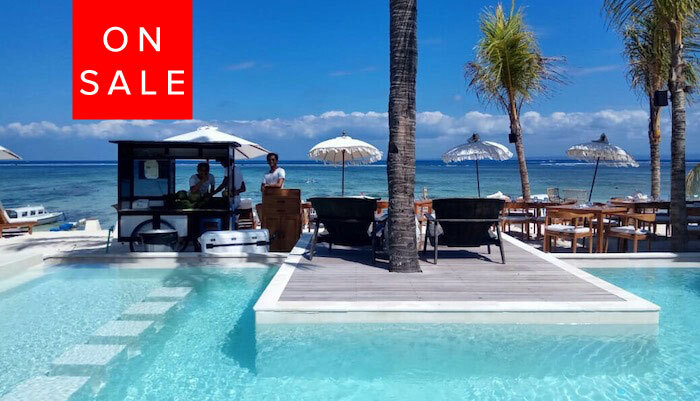 The stunning 16 metres infinity pool is where guests gather. There is a bar where you can enjoy cocktails and beers all day round. Breakfast is included. 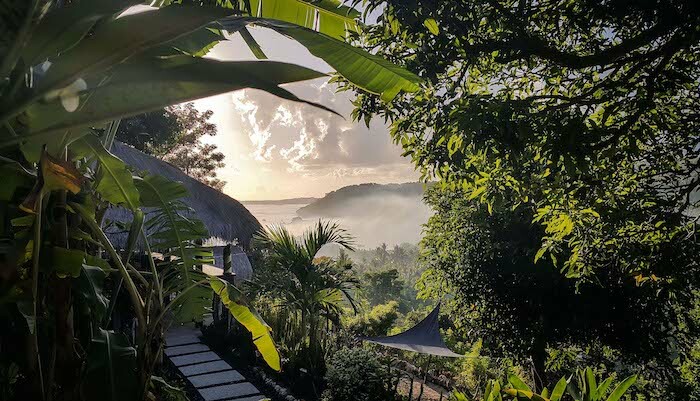 C-View villas is located 10 min by scooter from Jungutbatu beach and 10 min from Yellow Bridge. 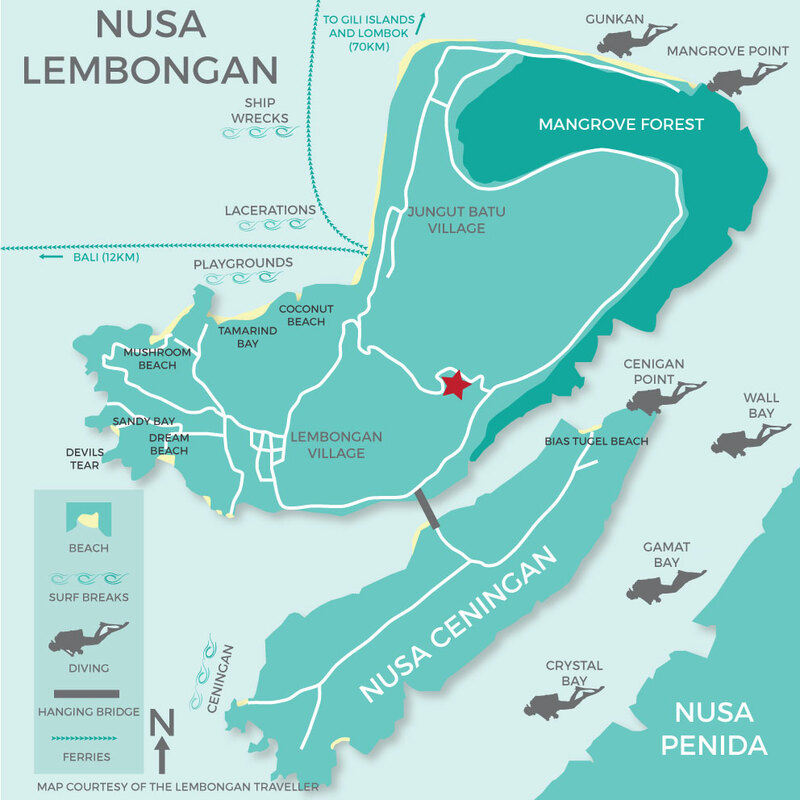 Located up Nusa Lembongan’s hill, you can enjoy stunning views of Nusa Ceningan. The villa consists in 4 private bedrooms with en-suite bathroom with shower and private terrace. Two king size bedooms are located in the upper rooms and connected by a common living room where is located the water dispenser and mini-bar. The two other rooms, one king-size bedroom and one twin bed room, are located on the ground floor. Both have en-suite bathroom with shower, terrace and are connected by a living-room with water dispenser and mini-bar. Located between Kembar 2 and Villa Indah, this deluxe bungalow consists in one king size bedroom with a large en-suite bathroom with shower. The room has also a private terrace with pool-view.